"Roly's Restaurant" in Ballsbridge has been one of the most popular landmark in Dublin 4 since the 1990's . 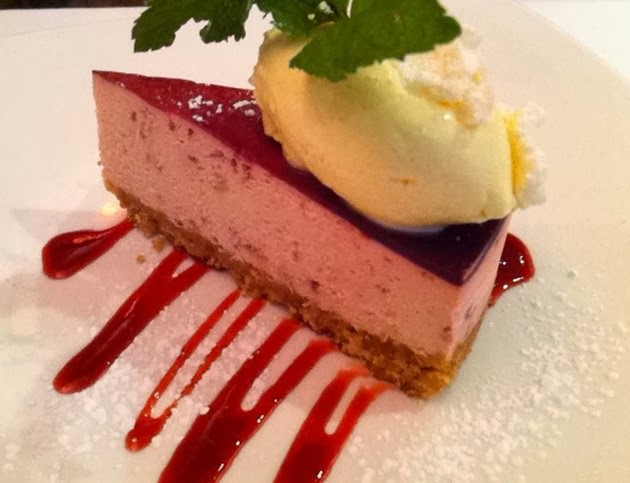 Within easy walking distance from the RDS and Herbert park , this is the ideal place for lunch or a relaxed dinner date in the evening or a family's celebration . While the Upstairs restaurant offers an A la carte Menu and great selection of wines , The Café & Bakery downstairs offers a more casual dining alternative , from Breakfast to Fresh breads and a mouth watering selection of Cakes & Desserts . 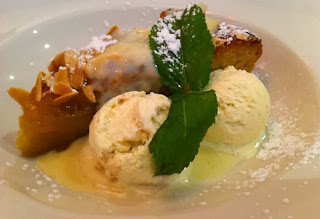 With a firm philosophy , of carefully sourced local ingredients as the sound foundation of cooking , a reasonably priced seasonal Menu , Classic dishes , friendly , buzzy and welcoming ambiance , Roly's Bistro is a firm favourite in my household . Deep banquettes , Crisp white linen table cloths , Fresh flowers , Beautiful prints and the glorious golden yellow painted walls , the restaurant exudes Old French Style Chic . 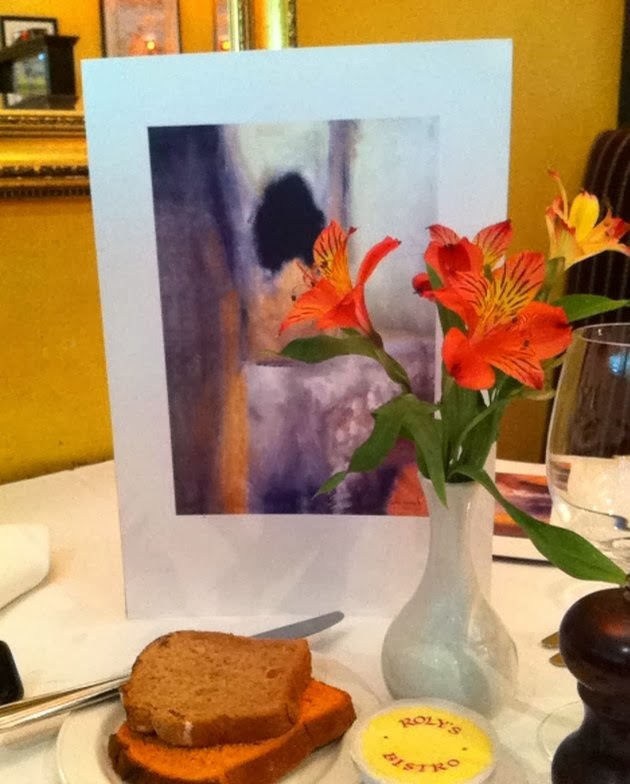 We opted for the 3 Course Lunch Menu @ €23.95 , inclusive of Tea / Coffee . 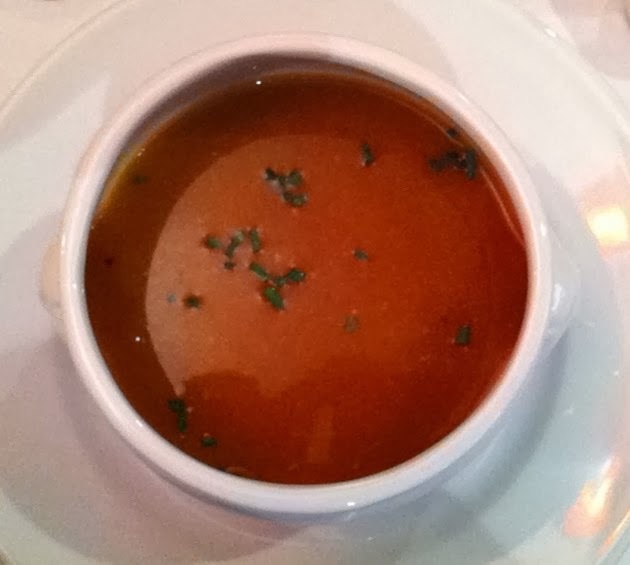 Roly's Prawn Bisque , one of their signature dish didn't disappoint . Full of flavours of the sea with a little hint of cognac . It was fantastically light , and along with some Tomato and Fennel Bread & good country butter , it went down a treat . 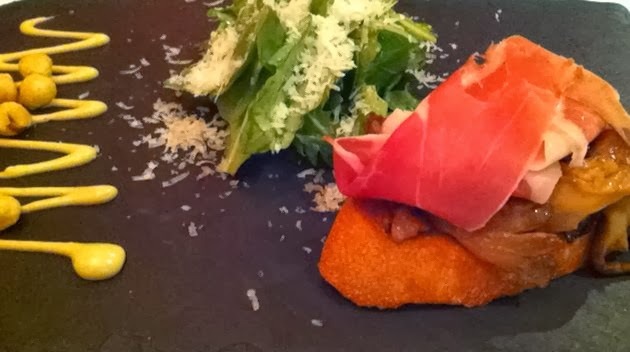 Braised Wild Field Mushrooms sat on a slice of crusty sourdough bread and lounging on top, a generous tranche of Parma ham . Baby spinach leaves , freshly grated Parmesan and Hazelnut mayonnaise completed the whole ensemble . And very tasty it was too . 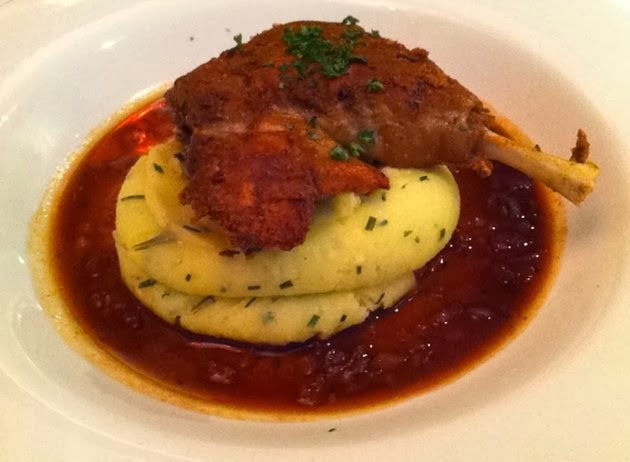 Our mains of A Confit of Duck Leg , garlic & rosemary creamed potatoes , red wine jus . This was a simple enough dish but well put together and beautifully cooked . The rich flavours of the duck worked magically with the creamed potatoes . A very satisfying dish . Beef and Guinness Pie was also a well executed dish . No lumpy gravy or fatty cuts of meat here , instead tender pieces of slow cooked beef , in a rich sauce along with chunks of carrots and pearly onions . 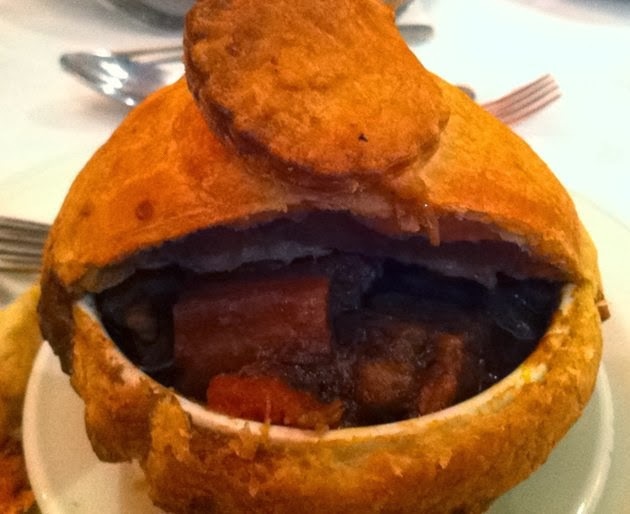 A lid of crisp puff pastry was ideal to soak up the flavoursome gravy . 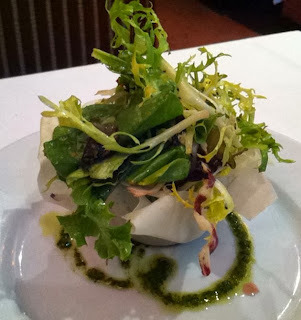 A small crisp Side Salad of mixed leaves and frisée was uncomplicated & lightly coated in a herbed vinaigrette . beckoned and didn't disappoint Roly's reputation for great cakes . Both were to die for . Delicieux.... et je ne regrette rien !!! I highly recommend Rolys for a relaxed meal , where delightful staff , tasty food will ensure " Une bonne Soirée "
THE LAST SUPPER " A fiery and sublime Chilli "